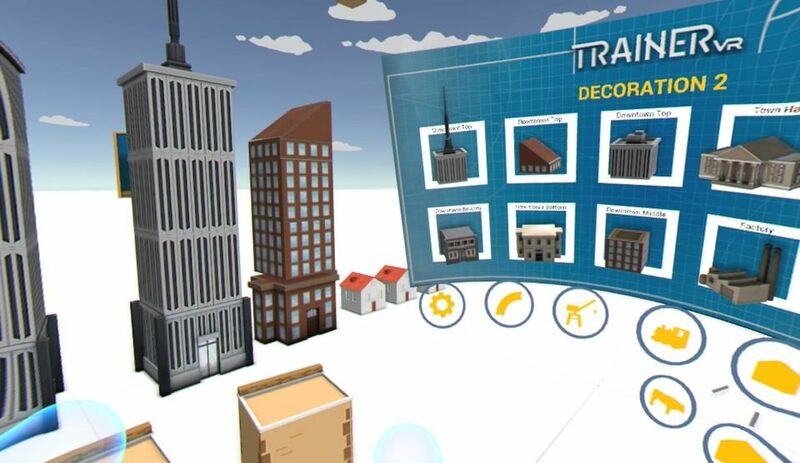 For those looking for model building simulation in VR then TrainerVR may be just up your alley. The name may suggest something a little more physical, but this is straight up a train track building simulator complete with environmental variables and some fun explosive physics. Build whatever your heart desires! You can use Move controllers or the DS4 though the Moves are definitely the way to go as it allows a little more freedom with item placement, menu navigation and more forgiving tracking. There is no tutorial or gameplay elements at work and the game just starts off with you sitting in a blank, all white world. Bringing up the menu displays all the available track options which include different lengths of track turns, bridges, splitters and a whole host of options. 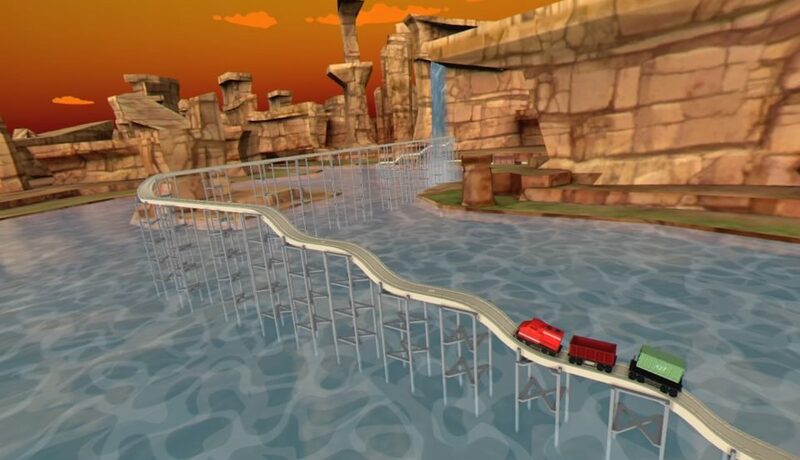 Besides the wooden rails, you can add in environmental elements like tunnels, balloons, trees, people and buildings allowing you to populate your play area and make it feel a little more “real”. Some items are powered and can be manually triggered by yourself or tied to switches allowing lane changes, shifting traffic signals and a few other options. You can traverse the play area by teleportation and click-turning only which feels, rather clunky when you are trying to make larger portions of a track and have to constantly move every few seconds. Bottom line is that you have a whole host of options to make whatever kind of track you want, and the scale of the play space allows for just about anything your brain could come up with. As far as appearance goes, there isn’t a lot to talk about. If you know of wooden toy train sets, this emulates that look exactly. The white area you can build in allows for whatever creations you can imagine but is visually stark and a little unappealing. There is a change of scenery available which bring s you to canyon type area with waterfalls, caves, a lake and bunch of high and low areas forcing you to build around, and through those obstacles. This area does force you to navigate the environment a bit but is way more visually appealing and I enjoyed the challenges of accommodating and including the environment in my creations. The most fun I had was causing massive explosions thanks in large part to the included TNT and takes just about anything out. Watching these chain reactions as everything around you explodes is a childish delight and a highlight when you set up an elaborate display of destruction. All the buildings and other elements carry with them a model scale look and feel and the presentation pretty much nails exactly what the developers were shooting for and I really encountered no issues on the visual front. Add in your own city flare! Some smooth jazz tunes accompany your gameplay and are inoffensive enough, though reminded me more of elevator music then anything I would choose to listen too. Sound effects are also applied to whatever should make sounds though the same issue plagues both the music and any ongoing effects. That issue is the silence when an audio track ends. This issue is more forgivable with the music but when you are near a booming waterfall, which sounds excellent, and the audio suddenly stops as the track associated with it starts over, it can be a little jarring. once again though, overall the what’s here in the audio department serve its purpose. The game, overall, works rather well but there are a handful of issues that do hamper the experience. Movement, as I mentioned is clunky and I often found myself hitting the wrong button and teleporting across the map by accident. The click-turning is also painfully slow and I often found myself confused at my direction and found it way easier to turn in the real world, which leads to my next issue. There is no way to tell your direction in relation to PS camera and I lost tracking thanks to turning beyond the limits of the PlayStations tracking. An in-game representation of the camera is desperately needed to keep your bearings in VR. On occasion I also ran into the issue of tracks joining together, but still triggering a crash as the trains collided with a gap where there shouldn’t be any. I would have also appreciated a reset button of some type as once you start a train or blow something up, the only option to reset is to reload a save file putting the onus entirely on you if you forget to save your track at a decent reset point. Still, all of these issues are avoidable with a little effort and there is a fair bit of satisfaction when a course runs as designed. This took sooooo much time to make. 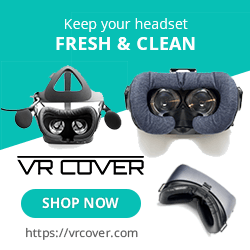 TrainerVR ultimately accomplished what it intended, but it is a but of a bumpy ride thanks in large part to the control scheme. 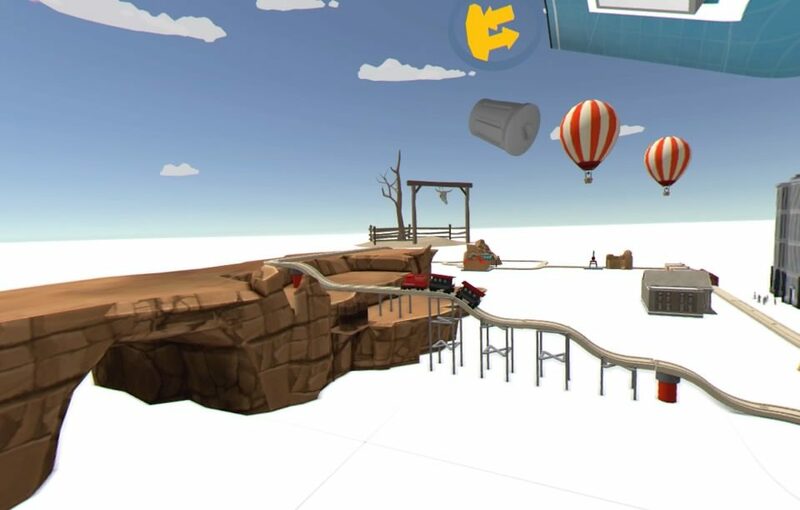 Still, if you are interested in mocking up your own toy train set in VR, the options presented do offer enough choices to make some satisfying courses. Add in the explosive elements and it’s stupidly satisfying to watch 2 trains collide or chain up TNT to destroy an entire level. This experience isn’t going to be for everyone, but for those with an interest in model train sets, I bet you’ll be happy with the end product. What would I pay? In all honesty, this is not my type of game and the issues I brought up did more then just annoy me and did hurt the final product. Still, what’s left is more then serviceable, and I’d be happy with a $10 price point as it stands. The full asking price of $15 isn’t outlandish either provided you are into this kind of experience and the developers address the issues I mentioned above. Sumalab provided a press code for this title and, regardless of this review, we thank them for that!